With Readly you can read PC Gamer Annual and thousands of other magazines on your tablet and smartphone. Get access to all with just one subscription. New releases and back issues – all included. 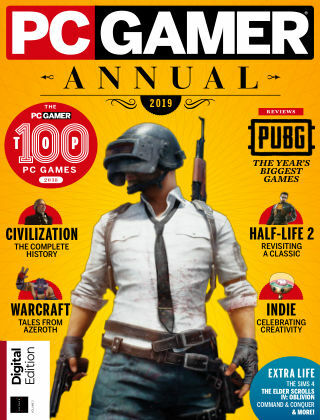 The PC Gamer Annual 2019 brings you the best of PC Gamer. Inside you'll find reviews for the biggest games of the year, from PUBG to Pillars of Eternity II. We also celebrate PC gaming's enduring classics, exploring why Half-Life 2 is still one of the best shooters around and how World of Warcraft rightfully remains the world's most popular MMO. Our Extra Life section is packed with entertaining diaries, amazing mods and extended looks at some of our favourite games. Also, we bring you the PC Gamer Top 100, running down the best games you can play today.